Give your living room the redesign it needs with this affordable inspiration. Are you sick of your bland, off-white apartment? Maybe you have a fancy new job, and you’re ready for an upgrade… or perhaps you’re trying to impress that certain someone in your life. Whatever the reason, coming home to a more grown-up space will be a welcome change. And it doesn’t require much effort at all. Not anymore. Because we’re here to map it out for you, step-by-step. The space we’ll be using as inspiration has a timeless feel with a dark, manly color scheme. Navy blue is a classic, easy color. It packs a big punch visually, but seems almost neutral in large quantities. It pairs well with white, lending a hint of nautical appeal. In our inspiration image, the designer has played up that maritime feel with the artwork on the walls and the blue rug. We’ve found affordable options that won’t assault your bank account – but the high-end look of your new space will make your friends think that you’re loaded. 7. Many landlords will allow you to paint your walls; if that’s the case, do it! Paint is the easiest and cheapest way to completely transform a room. While you’re waiting for all of these products to arrive in the mail, go grab a can of paint at your local home improvement store. If you don’t feel like painting all of the walls, consider doing just the one behind your sofa to create a focal point for the artwork that you’ll be hanging there later. 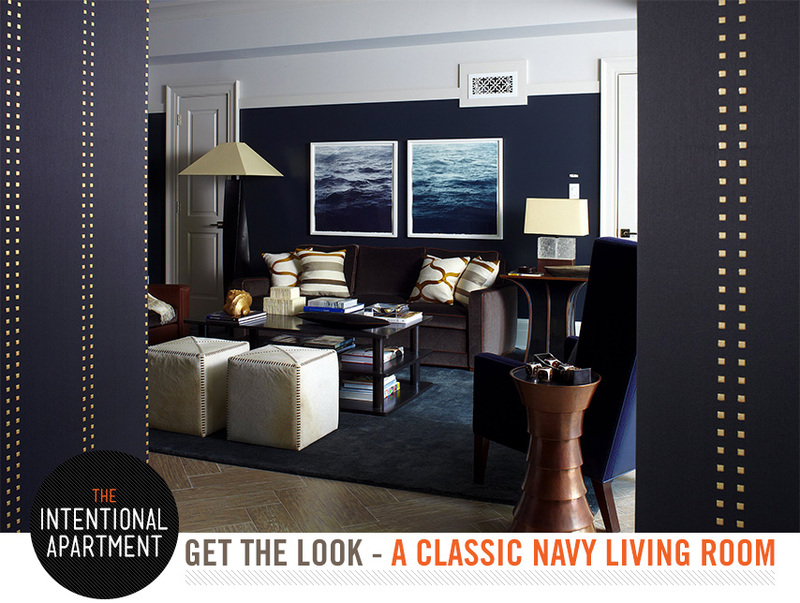 This shade of navy from Behr is called Soulful Music, and can be purchased at Home Depot. Once you’ve purchased everything, the last step is to arrange your new finds. Use the inspiration image above as your guide. If your living room has a different layout, then start by placing the largest piece of furniture, your couch in this case, in the most logical location and work out from there. Use your gut… if something feels out of place, it probably is. Don’t be afraid to move things around until you have created a layout that is appropriate for your lifestyle. 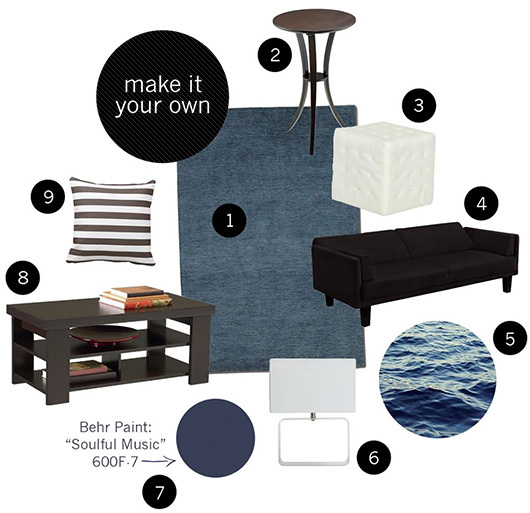 It can be intimidating to furnish and decorate a room from scratch, but using our step-by-step buying guide, you’ll be on your way to a new living room in no time. Your guests won’t want to leave! The couch is the photo looks different from the Walmart one. Is that accurate and if so what couch is in the photo? All the items in the photo are significantly higher quality (and price) than the ones in the list. The photo is to establish appeal; the list is a collection of knock-offs and approximations—not necessarily a bad thing, but the lack of disclosure is disappointing. I like it, and even though I’ve got my living room set, it’s still nice to see some lower budget masculine interior ideas. 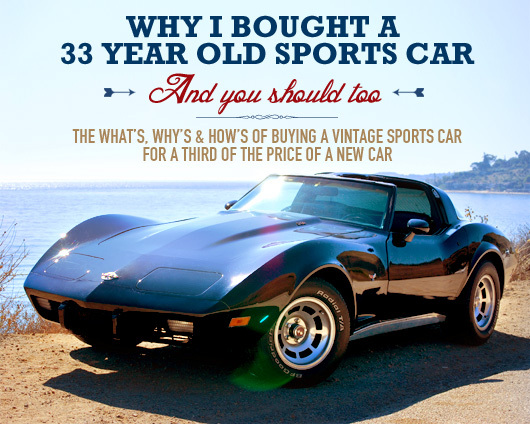 It’s not a well covered niche, and I’ll welcome any decent articles on the subject. The IKEA/WalMart knock off collection won’t look remotely as good, and no one without a practiced eye will understand why not. This article certainly won’t help. Another load of trendy garbage. We are currently redoing our living room to match this style. We even went and got the same paint color, Soulful Music.